Every business could use a few buyer personas. It’s an effective way to help you decide what kind of content you should be producing – from the tone of voice and writing style, to the delivery strategies and platforms – in order to make sure that everything you put out is relevant to prospective customers and is geared towards generating leads. 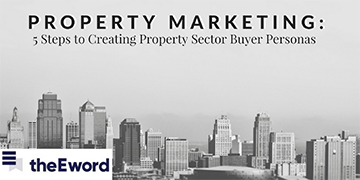 If your goal is to boost occupancy in your developments, then you’re in luck; thanks to modern technology and market research, any property manager can create their own buyer personas to help increase occupancy, thus maximising revenue. However, it does require a great deal of planning and energy; but have no fear, we’re here to make this pill a lot easier for you to swallow. Hang on, what’s a buyer persona? Buyer personas are fictional, generalised representations of your ideal customers. They are invented based on insights gathered from your actual customer base (through surveys, interviews, etc.) and market research. In other words, personas are groups of customers funnelled into individual ‘baskets’ that help us internalise the ideal customers we want to attract. The better you know your customers, the easier it is for you to fine-tune your content, your messaging, your product development, and your services to cater the specific habits, needs, and concerns of different client groups. That’s where buyer personas come into play. Buyer personas are important in any industry, especially property sales, because they help estate agents understand the right types of client they want to attract and keep in touch with. Buying a house is a long and emotional process, more so than any other purchase, since buyers are essentially investing in a lifestyle for the coming years. And it’s the salespeople’s job to find homes that suit the clients’ needs and preferences. The same is also true of the rental market. The first step to developing a buyer persona is to review your entire customer base. This should include clients you have previously done business with, those who you are currently dealing with, and those who have yet to close a deal. Be sure to also recruit prospects who have never used your service and anyone outside your contacts database who might align with your target audience, because you don’t just want feedback from people who are already familiar with your business. You have the whos, it’s time to learn more about the whats; what do they do for a living, what a typical day looks like to them, what their biggest challenges are, what social networks they participate in, what their most valuable purchase is, what their ideal way to spend a day off is, etc. From their answers, you’ll most likely uncover a few trends in certain customers’ or leads’ backgrounds; maybe there are more first-time buyers than current homeowners, or perhaps most of them tend to be young professionals. Having spoken to your sample group, the next step is to make generalisations about the different types of customers based on real data at hand – nothing made-up! Categorise them into the minimum number of core buyer personas possible – three to five would be ideal – because you want to focus your time and effort on the few personas that you can serve best. Name: How would you like to directly refer to an entire group of buyers with one all-encompassing term? We recommend you do this by compounding a popular name to a word that clearly describes their lead, such as First-time Phil, Retiree Ron, etc. Face: Yes, this is optional, and no, it’s not weird, and certainly not uncommon for marketers to give their buyer personas faces in order to humanise the experience. A quick Google image search will pull up a tonne of stock photos that can help you relate to the persona on a more human level. Demographics: Compile a list of all the basic characteristics you can think of for each persona, from their average incomes and outgoings to the amount of home-owning experience they may have. Story: Delve deeper beyond demographics and into the personas’ backstories. What is Buy-to-Let Brian’s daily schedule likely to consist of? What are his short-term and long-term goals? What kind of diet do you think he follows? It’s not enough to produce great content, you need to have a more in-depth understanding of your customers’ needs and wants so you can say all the right things that make them tick. For this step, you need to get your pen and paper, and write down three needs and goals of each persona. What do your clients get the most enjoyment out of in life? Is this persona prepared to take on a complete overhaul, or hoping to make a life-changing move by acquiring a high-value postcode? Or are they after seclusion, a small-town feel with lots of peace and quiet? Whether it’s a blog post, a press release, a website’s written copy, an email newsletter, or a social media post, it’s a common marketing faux pas to dive into content creation without fully knowing the problems that need solving. Property buyers tend to be very vocal about what they like and dislike, which is brilliant when your aim is to find out what their issues and challenges are. So use that to your advantage and communicate with them about their property pet peeves and what you can do to seal the deal for their future property. It’ll give you a closer look into what about their previous housing experience that they want to improve on, what they’re hoping to avoid this time around, and all their specific needs. Well done. Now you have what your buyer persona looks like, their name, what they’re looking for, and what they could and couldn’t live without – practically everything there is to know about them. The only thing left to do now is to brainstorm some content ideas that are tailored specifically to each persona. Every marketing piece needs to both deliver on goals and solve problems. If it doesn’t achieve either, then it’s probably not good enough for your target persona. Also, don’t forget to update your buyer personas as your business goals change – revisit your buyer personas regularly and tweak them as you see fit. 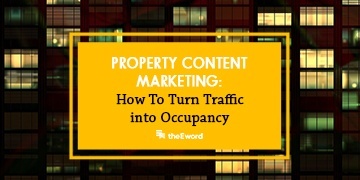 Still looking for marketing tips that will increase the occupancy and your residents? Download our GUIDE TITLE HERE today. You may be creating great content from a place of expertise, but it’s only when you know who’s on the other end of the communication that you can truly put them at the forefront of all your marketing campaigns. 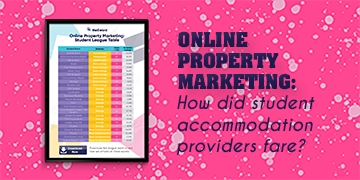 If you’d like to learn more about how buyer personas can help drive content creation and service development, make sure that you download our Ultimate Guide to Online Property Marketing for more information.